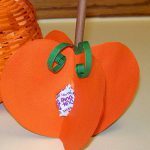 This quick and easy Halloween card is perfect for young crafters to make for friends and family. Click on Printables and print the page. Cut out card INSIDE of black square. Fold on the vertical line that runs between the pumpkin. Partially cut around the pumpkin so it will pop-up later.DO NOT CUT BETWEEN THE 2 SMALL LINES ON EACH SIDE OF THE PUMPKIN! Open so the card is flat. 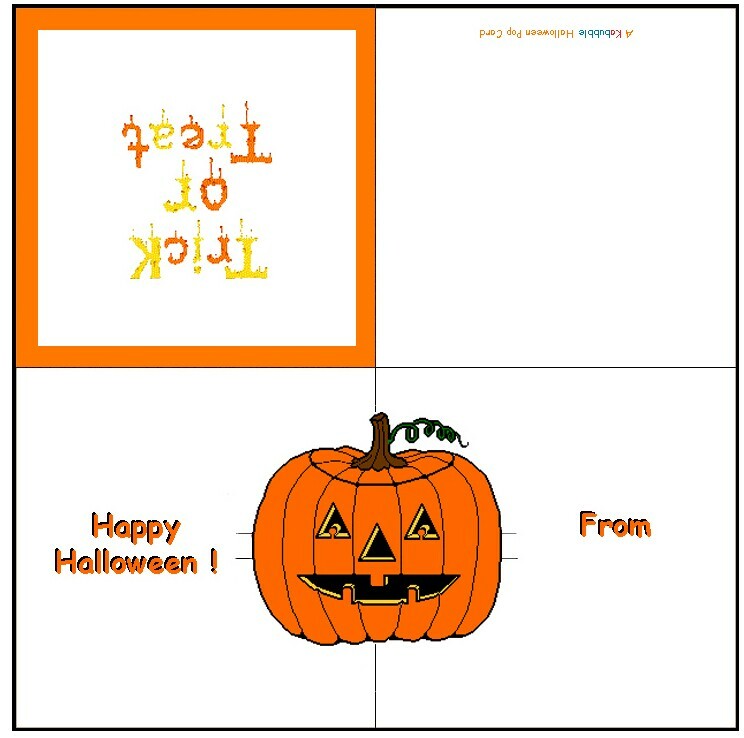 Now fold the card on the horizontal line above the pumpkin. Make certain to let the pumpkin "POP" out. This craft reprinted courtesy of Kabubble. With ten years of "Grand" parenting behind the team at Kabubble they've come up with lots of ideas on how to have lots of fun along the way and they have created treasured memories. This site shares those ideas with all grandparents and parents.